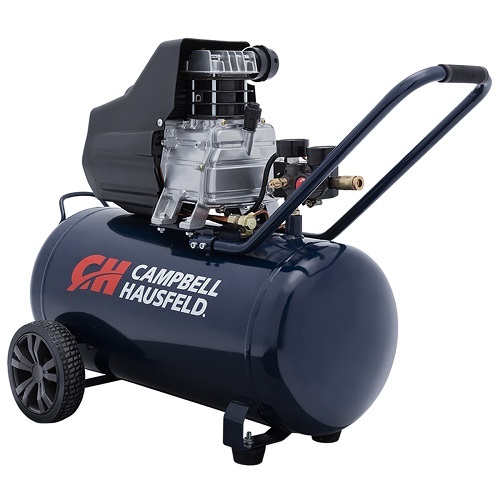 The Campbell Hausfeld 13-gallon, horizontal air compressor (DC130000) is ideal for any workshop or garage. 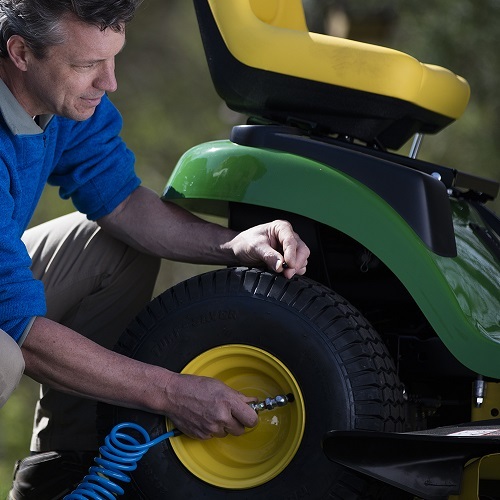 The oil-lubricated, cast-iron pump design makes this air compressor long lasting and reliable, while its portable design makes it easy to move from one project to the next. 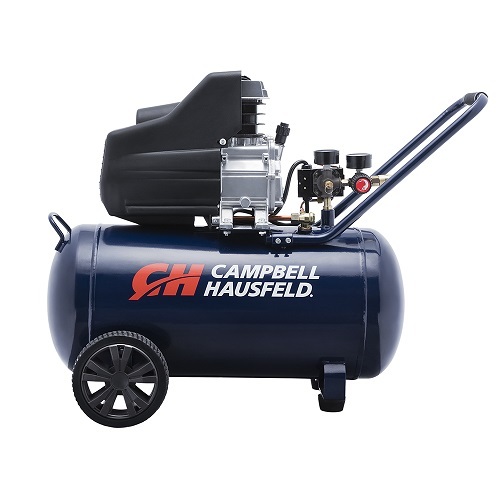 This air compressor can be used for a variety of pneumatic jobs including inflating tires, operating air nailers and air staplers, powering air ratchets and more. Operates on 120-volt household current. 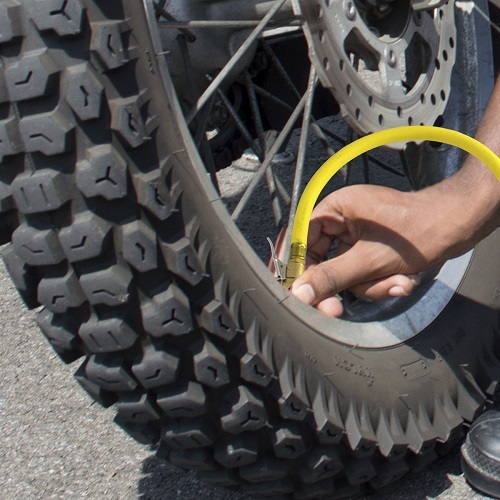 125 Max PSI, 3.8 CFM @ 90 PSI. My father purchased this compressor many years ago, the only issue we have had was the pressure switch failing, overall it's a great product.